Christmas is all around. 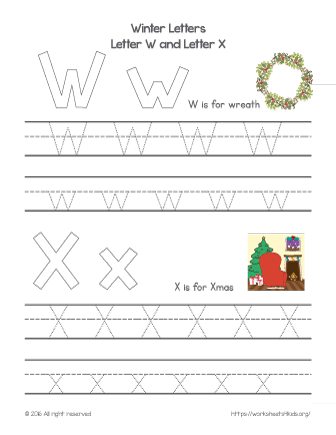 Bring a holiday spirit in your class, learn winter words and practice fine motor skills. Make your learning fun and enjoyable! W is for … wreath. X is for … Xmas. Practice tracing letters, make an outline of each letter, color and decorate it! Find more words starting these letters.